The Sandlot Marathon has participants running in circles. 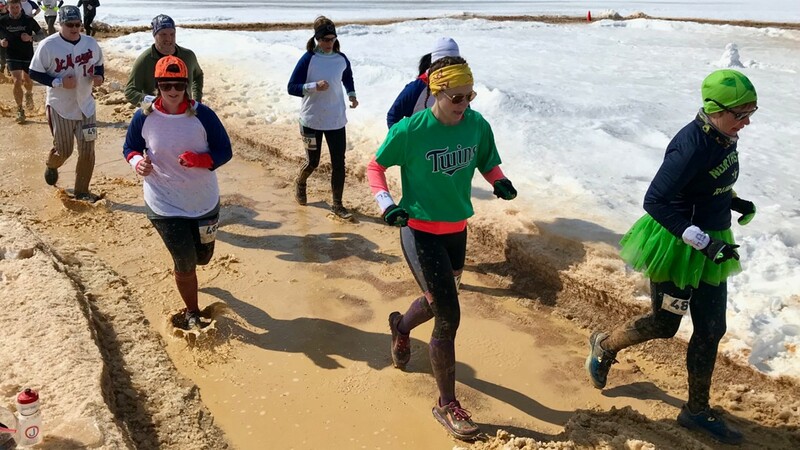 ELK RIVER, Minn. — No need to over-complicate the rules for one of Minnesota’s newest marathons. 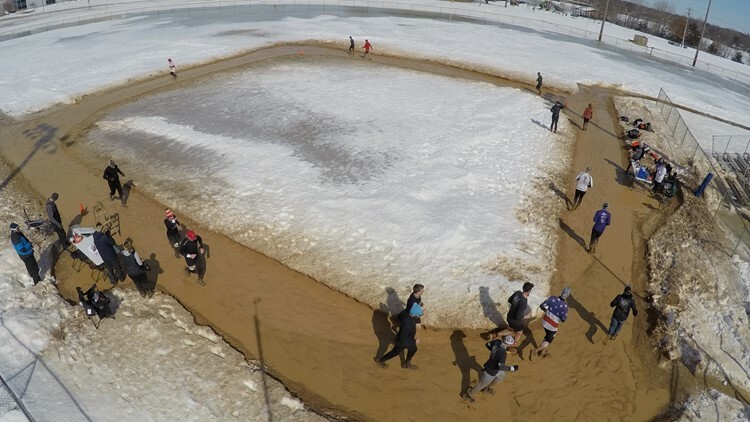 Simplicity comes with the turf when you’re running 26.2 miles around a baseball diamond. Hollenbeck was among 37 runners taking part in the second annual Sandlot Marathon. 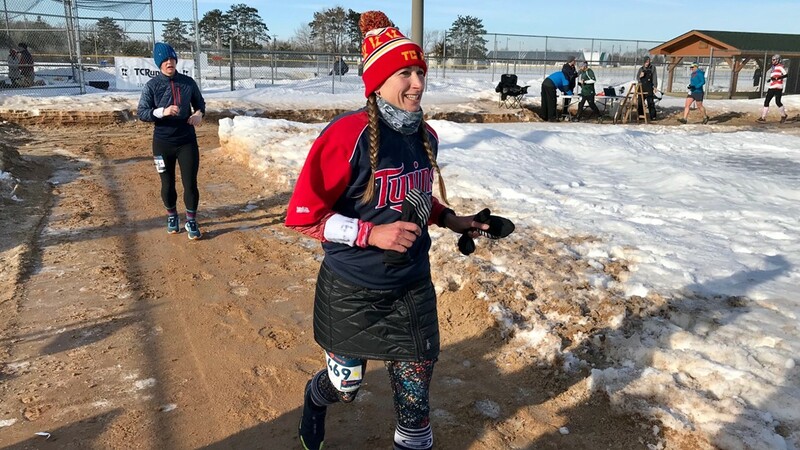 Thirty-two additional runners took part in the Minor League Half Marathon and the Little League 5K, also run on the baseball fields at Dave Anderson Athletic Complex in Elk River. 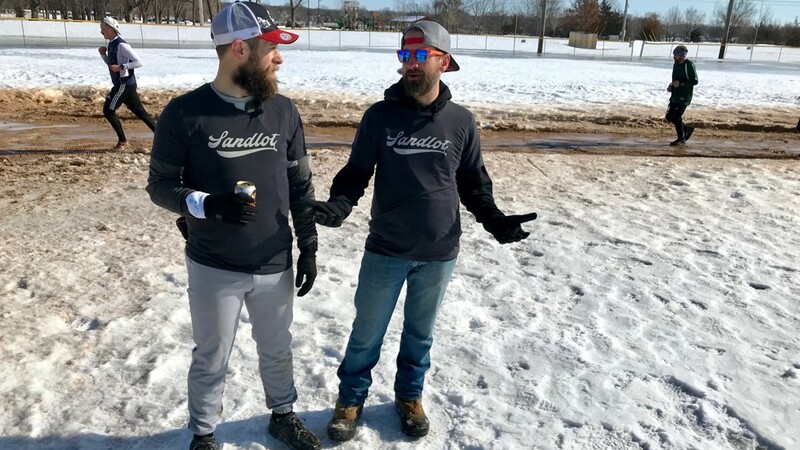 A group of running friends conceived the Sandlot Marathon while standing next to a baseball diamond after completing a different race. Runners in the Sandlot had to circle the bases 384-and-a-half times to complete the full marathon. A computer chip reader counted down their laps to the finish. 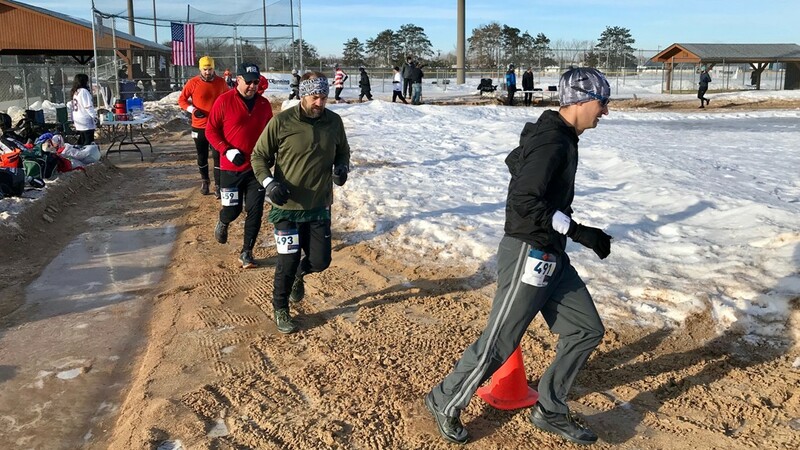 Runners participate in the Sandlot Marathon, half marathon division. Spectators also found a lot to like about The Sandlot Marathon. 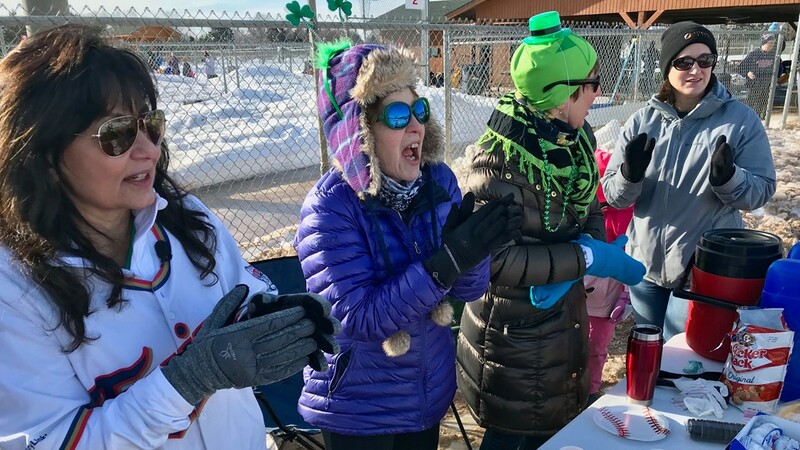 “This is probably the least amount of work I've ever had to do to spectate a distance race,” said Jesse Groettum as he cheered on a friend circling the bases. 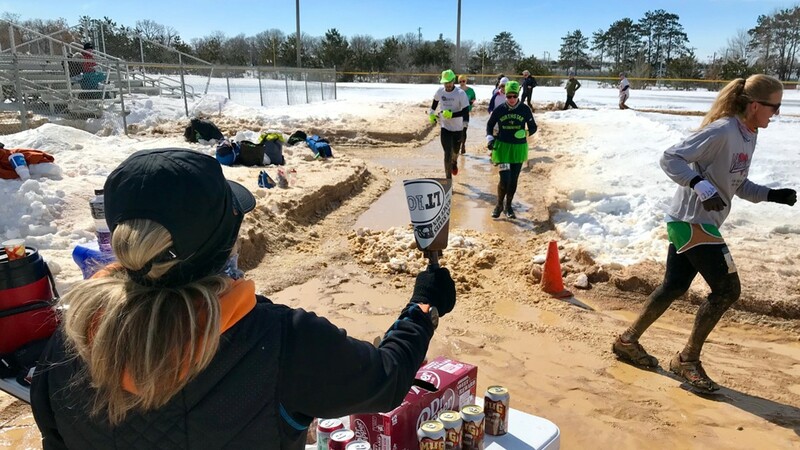 Though a running event, the Sandlot Marathon paid homage to its name at every turn. The event started with the national anthem and even paused for a seventh inning stretch. 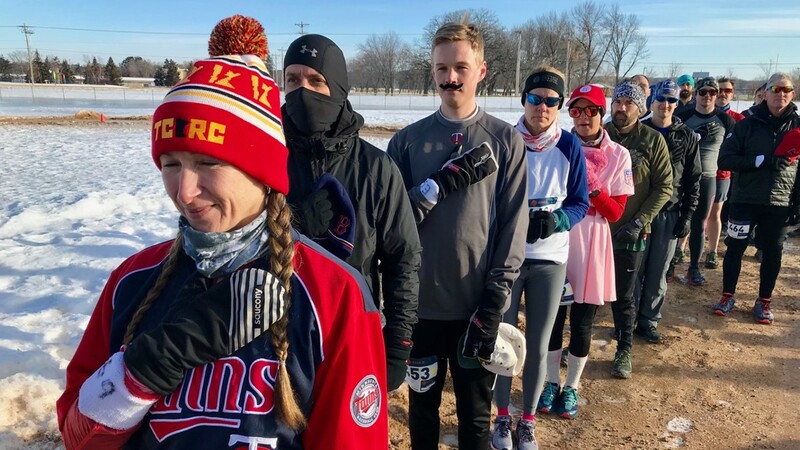 Amada Miller was among the runners who ran in baseball attire. 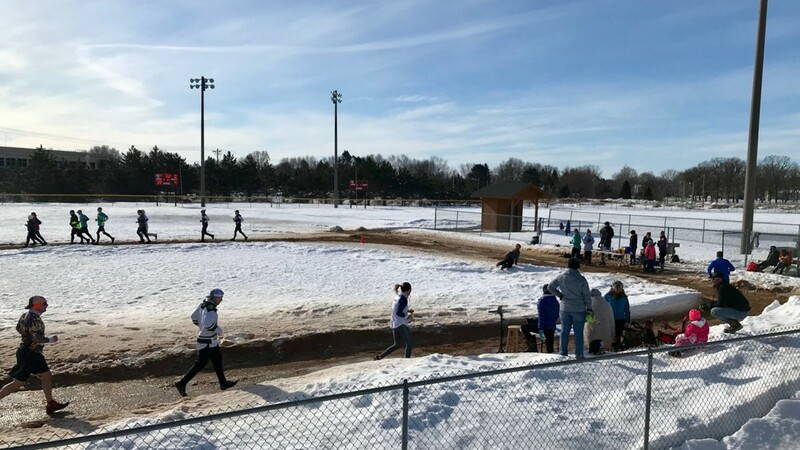 “It's a Rockford Peaches, Dotty Hinson baseball uniform from ‘A League of Their Own,’” Miller said of her crisp pink skirt, dotted with mud from the puddles in the still-thawing field. Miller laughed at the spectacle of it all. “If anybody drove by they’d have no clue what we’re doing,” she said. 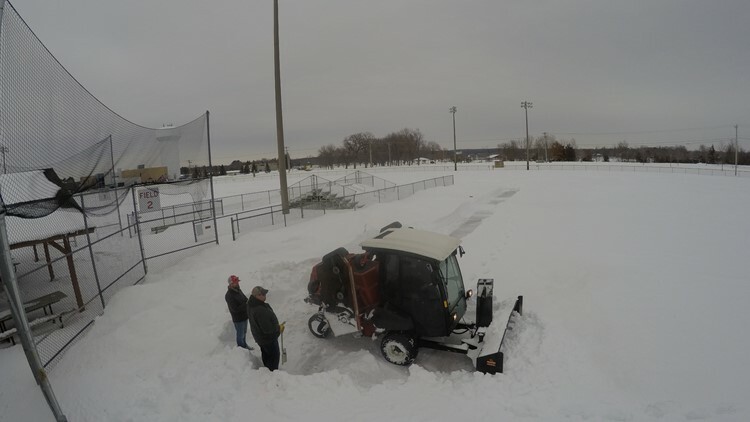 Passersby may also have wondered what Elk River city workers were up to days earlier, as they cleared several feet of snow off the base paths of the three fields used for the races. Dalton Struck scored the winning time in the Sandlot Marathon, completing the race in 3:23:13. Emily Larson was the top female runner at 3:32:50. But Smith and McCarty insist the Sandlot Marathon isn’t about putting up winning times. Amanda Miller runs in her Dottie Hinson uniform from the movie A League of Their Own.